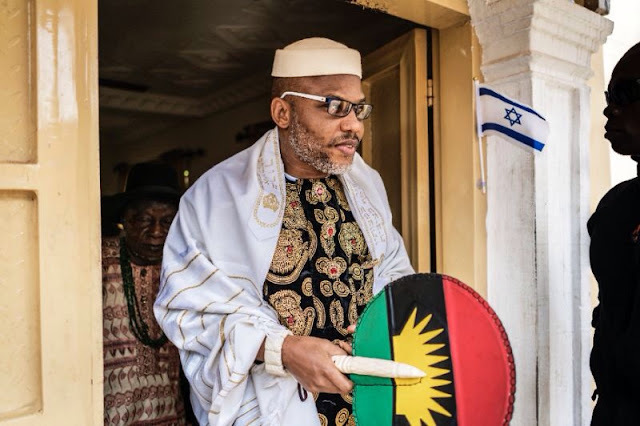 NNAMDI Kanu, leader of the Indigenous People of Biafra, IPOB, has revealed how he escaped during the military clamp down on the secessionist group. IPOB was the target of a Nigerian army operation code-named Operation Python Dance, launched in the south-east. Kanu went out of public glare until two weeks ago when a video of him in Israel resurfaced on social media. In the interview, Kanu alleged that 28 persons were killed during the army operation which was largely felt around his father’s residence in Umuahia, Abia state. “When I came out (of prison), I continued to preach to my people. I continued to practise my Jewish religion,” he said. “And one day, the Nigerian army came to my house to kill me.